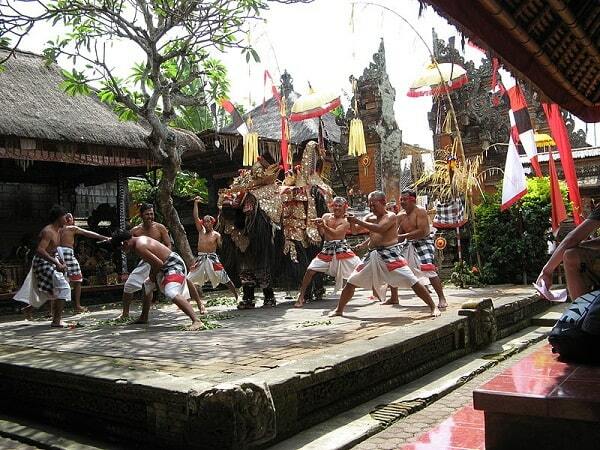 "The performance in the temple makes the Barong dance to a special experience. It is performed in the morning before it gets too hot, but I suspect that the dancers were very hot in their costumes. The first music sounds exotic, but it was for me it was monotonous after a while I got it on my nerves. The hall with seating is decent." Batubulan is a town northeast of Denpasar in Bali. This artistic village is located about 8 km from Denpasar city and was formerly of three smaller towns: Desa Adat Tegal Tamu, Desa Adat Jero Kuta Desa Adat Delod Tukad. The name of Batubulan is derived from two words: Batu and Bulan (moon stone). As you walk through the streets of Batubulan, you encounter many other galleries and craft shops at. There are different little statues, such as Ganesha, Buddha, gods and goddesses, and other mythical figures for sale. Not only works of art of stone are found in this village. 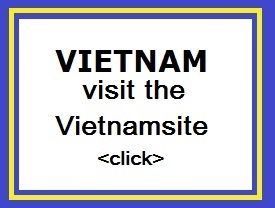 There are also many other craftsmen with items from wood carvings and bamboo. Batubulan however, there are many workshops where stone sculptures are made of volcanic ash, the 'Paras'. It looks like pumice; it is soft and surprisingly light. This stone seems old quickly, so that the 'old' work might be a few years instead of centuries. 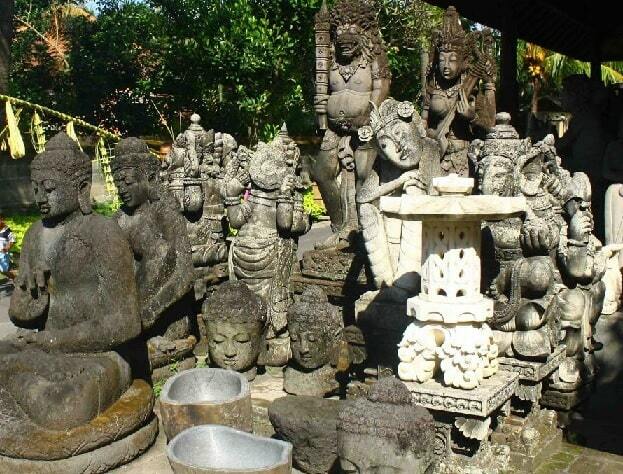 It is widely used in Bali to make sculptures for temples Batubulan. Batubulan is a center for making "antique", but also textiles and woodwork. It has numerous craft shops. The origin of this town has its origins in a story of the god Kalesan story. A foster child of the king Badung, got permission to build a castle in the middle of the forest. Together with his followers Kalesan went into the forest of the Kingdom of Badung. In the east of the forest he reached the forest border. Once there, the God Kalesan saw a glow like a moonstone. He named this place Batubulan, and on that particular place built the God Kalesan his palace. The most notable landmark in the village is the temple, known as Pura Puseh. The temple is decorated with intricate carvings and stone and known for its fine stonework. The Pura Puseh (main temple) is worth a visit because of the canal filled with lotus flowers and perfectly balanced unit images. Statues relate to ancient Hindu and Buddhist iconography and Balinese mythology; they are not all old - many copied from books on archeology. 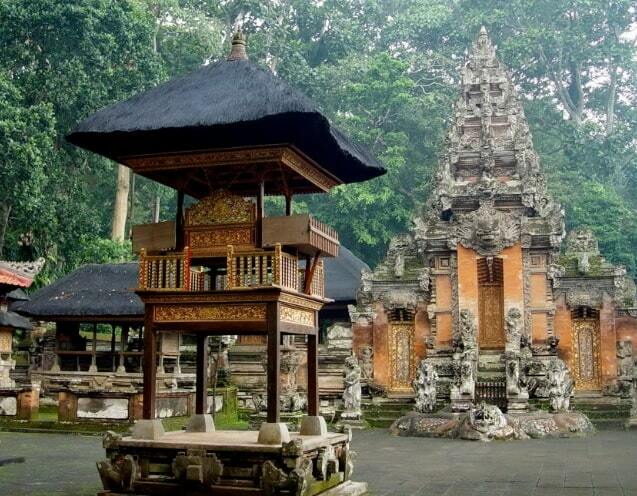 The Pura Puseh is only 200 meters to the east of the busy main road, north of the village. The temple had a restoration. This temple is also a performance of the Barong dance in the hall. The Barong dance held at 09.00. There's also held a Bali night. Close to Batubulan is the beautiful Bali Bird Park "Taman Burung. The birds in this park live in a beautiful piece of nature with real rainforest. Specimens from around the world can be admired here. The reptile park is located next door. Batubulan Bus Station is strategically located and has connections to seven cities in Bali: Denpasar, Badung, Gianyar, Bangli, Klungkung, Karangasem, and Singaraja. Close to Batubulan. Ideal for fun and relaxation, Batu Alam Villa is located in the Keramas area of Bali. From here, guests can enjoy easy access to all that the lively city has to offer. With its convenient location, the hotel offers easy access to the city's must-see destinations. Take advantage of a wealth of unrivaled services and amenities at this Bali hotel. Free Wi-Fi in all rooms, 24-hour room service, express check-in/check-out, luggage storage, Wi-Fi in public areas are just a few of the facilities that set Batu Alam Villa apart from other hotels in the city. The ambiance of Batu Alam Villa is reflected in every guestroom. television LCD/plasma screen, internet access � wireless, whirlpool bathtub, non smoking rooms, air conditioning are just some of the facilities that can be found throughout the property. The hotel offers fantastic facilities, including outdoor pool, spa, massage, garden, water sports (non-motorized), to help you unwind after an action-packed day in the city. When you are looking for comfortable and convenient accommodations in Bali, make Batu Alam Villa your home away from home.